Elliptical trainer helps injured runner! I for sure know this! 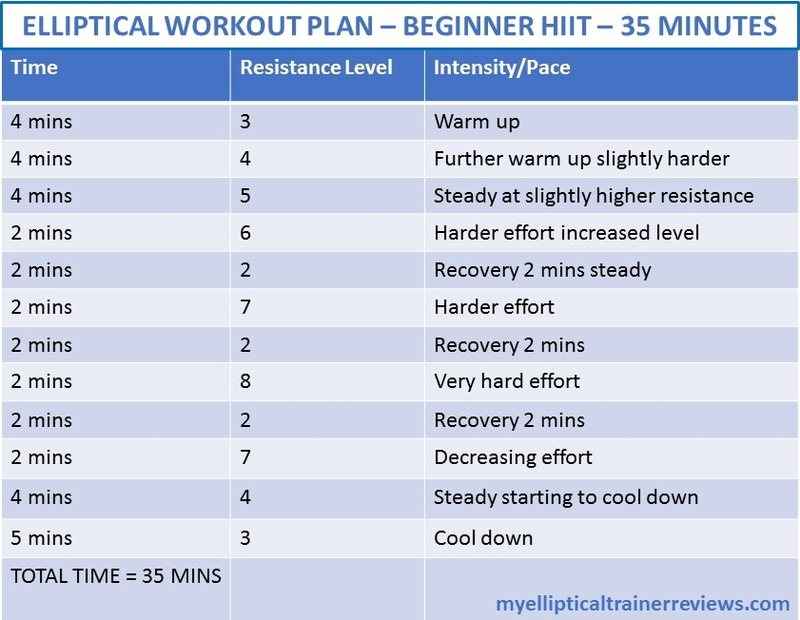 I recently pulled a hamstring during a long run, meaning I’ve had to miss out on running both the Valencia Half and the Full Marathon next month and have spent a lot of time on my elliptical trainer, as this is one of the best workouts for an injured runner. My partner, at the same time, had knee pain from running! What a pair!! 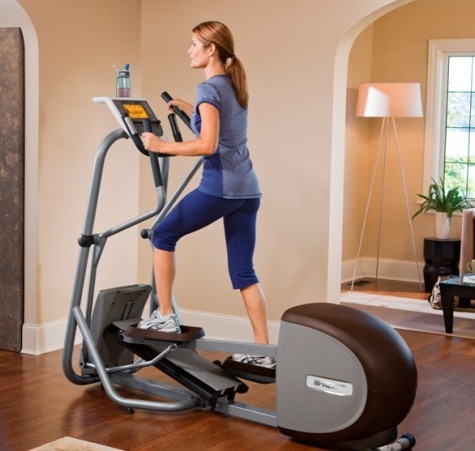 So, why is the elliptical trainer the best home exercise equipment for an injured runner? An elliptical trainer lets you workout as hard as you want, but with almost zero impact! When exercising on the elliptical, the movement of the machine closely mimics running form, but without the big HIT on your foot. When you have foot injuries from running, like plantar fasciitis, it’s the only exercise option that makes sense. With an elliptical, it is easy to monitor and change your intensity level, so you can train as hard or as gently as you like. Elliptical trainer helps injured runner!! A study of muscle activation in Physical Therapy (Feb 2010) shows that using an elliptical trainer demands more range of movement in the pelvis, hip and knee joints, compared to walking; but involved lower muscle activity in medial hamstring, gastrocnemius, soleus, and tibialis anterior muscle, which is great if you have an injury in one of these muscles. They are still being exercised but at a lower intensity. In another study, research was done exercising on both a treadmill and an elliptical machine comparing oxygen consumption, energy expenditure, and heart rate. The results showed that while heart rate was slightly higher on the elliptical, oxygen consumption and energy expenditure were similar on both machines. 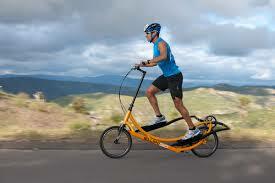 As such, the researchers concluded that an elliptical device is an acceptable alternative to a treadmill. A further study looked at differences in heart rate on an elliptical machine as opposed to a treadmill. This study didn’t find the same effect on heart rate as seen in the study above, but they did find that although the rating of perceived exertion (RPE) was the same for the chest, it was actually of higher intensity for legs on an elliptical trainer compared to a treadmill. The researchers concluded that an elliptical machine can produce fitness results similar to running. Result! Elliptical trainer helps injured runner yet again!! You can read more about the treadmill vs the elliptical trainer in my detailed report here. Make it count: You can make the action more like running by not using the arm poles – this also gives you a good core workout – have a look at my elliptical machine workouts here for some example elliptical workouts to add to your training program. Elliptical training can provide, and so maintain, similar fitness benefits for injured runners or those that are using the elliptical machine to cross-train or supplement mileage. The results of the studies above (although a bit limited) do suggest that the elliptical is a good substitute for running and maintaining fitness levels during time off from training, for example when you have knee pain from running or foot injuries from running. Several Olympic runners trained on the ElliptiGO while recovering from stress fractures and were able to maintain a high degree of fitness and recover relatively quickly. This is an outdoor elliptical bike – I have written a detailed review of this elliptical - you can read it here. It’s a great machine for staying fit while rehabilitating an IT band, stress fracture, or other injury as recommended by top athletes. You should however be careful and listen to your body when on the elliptical, and of course consult your physician when facing any injury. Working with your doctor or sports physio to help plan your recovery is the best way to avoid further injury and to speed up your return to the road or trails! How often should you train during recovery from injury? In general, it is recommended to train on your home elliptical trainer for the equal amount of time you would spend running on an average easy day. So, if your normal easy run is 40-50 minutes, than you would train on the elliptical machine for 40-50 minutes. I personally find a lower incline is more similar to the running motion. It can be tough to cross-train, especially when you’re injured and feel you should be increasing your mileage if, for example, you have a race coming up. However if you introduce some elliptical training into your exercise routine, I think you will challenge your aerobic system without pounding your joints and you’ll emerge from your injury with minimal fitness loss. Research suggests that rather than passive rest, a modified training plan of movement maintains fitness, helps recovery and improves your emotional status when you can’t physically run on the road! 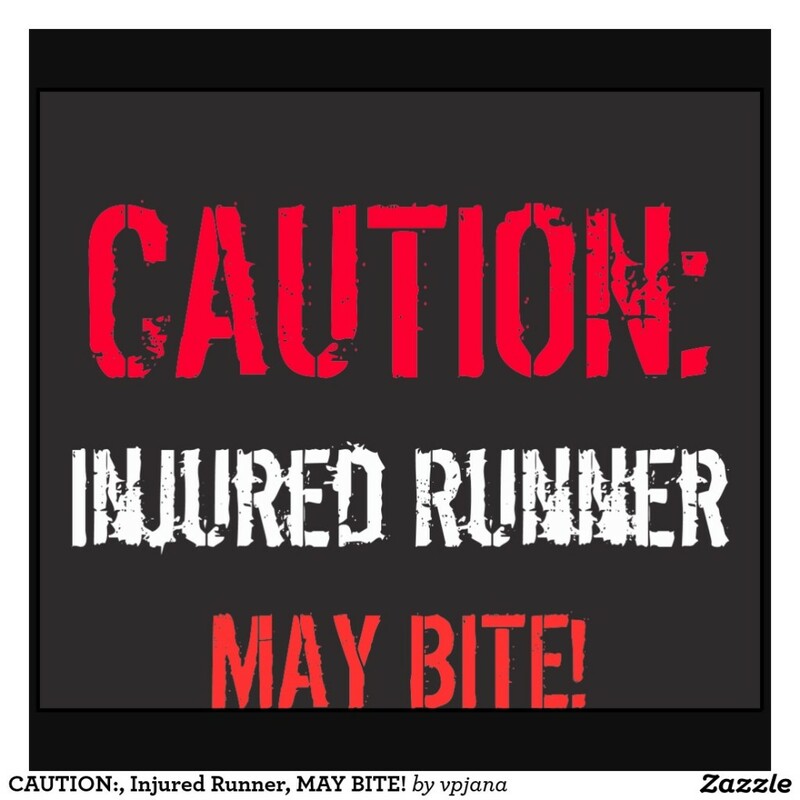 I know I am grumpy as hell when I can’t run due to injury – my poor partner suffers!! Elliptical Trainer Helps Injured Runner - My Top Tip! Another tip I want to share with you is one I learnt from a top level running coach when I was working at England Athletics. When getting back to running after an injury, it’s a good idea to start on the treadmill rather than go straight outdoors. That way you are able to stop if you feel a twinge – if you are out running and the injury starts to return you then have to get yourself home and may damage it further! So I always build up again on the treadmill slowly at my local gym then go back out on the road when I am confident I can do 5k with no problems. There are strength and conditioning exercises that runners can do to help prevent injury - I have found a very useful article with exercises to avoid being injured - click here to read. Here's a video showing one of the exercises that really helps prevent injury - the 'Runner Touch'! 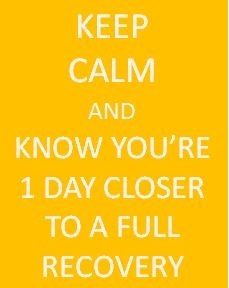 Whilst writing about recovering from an injury I’d like to share with you some of the products I use to help recovery. I’ve found these to be invaluable in getting me back on the road! 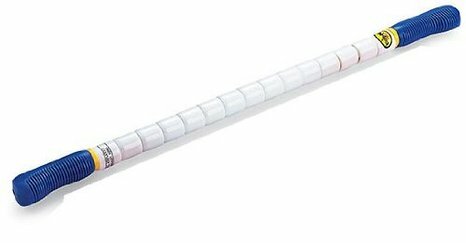 The first product ‘The Stick’ can be used not only when injured but on an ongoing basis to increase circulation and decrease muscle stiffness. I was first introduced to The Stick at the Honolulu Marathon Expo last year and have been addicted to it ever since! It’s a simple device that you roll back and forth over the muscles that need it. The Body Stick is the perfect massage tool. Use by yourself or with a partner to compress and stretch out major muscles. It’s easier to control pressure than a foam roller and the size is closer to the feel of a sports massage. I took my Stick on a flight to the Seville Marathon and the Spanish customs guy was using it on his leg to prove it was a massage tool before letting me take it on the plane! Stretch no further than to grab a tube of Aloe Heat lotion! This contains both warming agents and aloe and is a rich emollient lotion providing blissful relief from everyday stresses and strains. Great for warming up before your training session or soothing aches after a workout. Also ideal for a deep-heat massage to feel rejuvenated. It really does warm you up! These products are used by professional sports personalities including athletes, boxers, rugby professionals and more! You can buy the Aloe Heat here. This is a combination of Aloe Vera and methyl mulphonyl methylsulfonylmethane (MSM), and is a non-staining, clear gel that soothes joints, muscles and connective tissues. An excellent product that no sports bag should be without! I find both these products really help keep my muscles and joints working well and provide soothing relief after a hard exercise workout on my elliptical trainer or after a run. You can buy the Aloe MSM gel here. 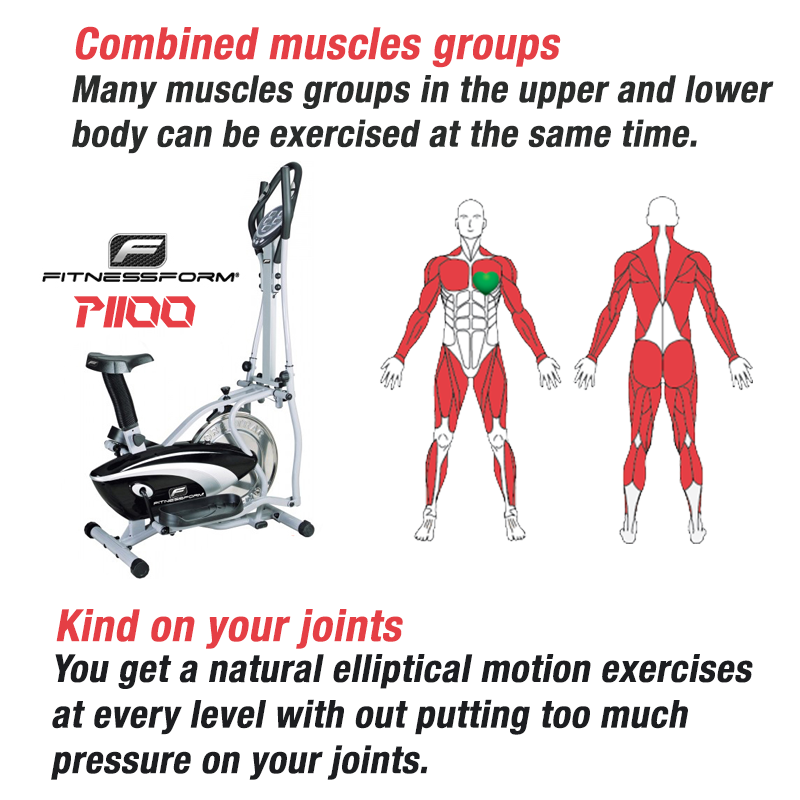 The elliptical trainer offers an excellent way to keep your cardiovascular system primed when suffering from knee pain from running or foot injuries from running – in fact any sporting injury! This type of cross training helps you keep up a healthy exercise routine and speeds up your return to running out on the road or trails! It's true! The elliptical trainer helps injured runner every time! If you are unsure which elliptical machine to buy and are a bit short on space, have a look at my Review of the best space saving elliptical machines here.